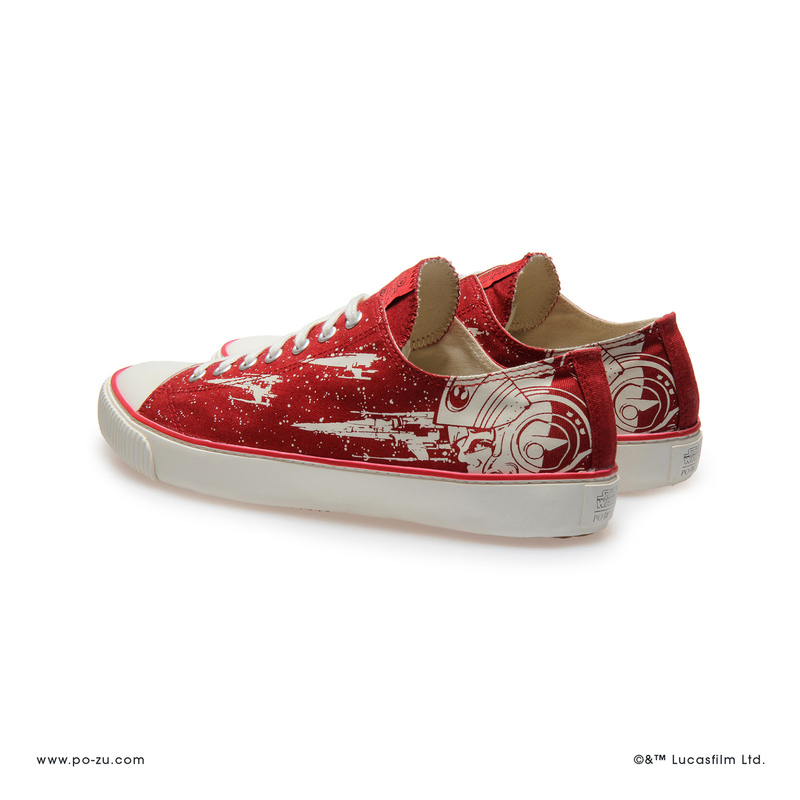 Join the Resistance with these fabulous X-Wing sneakers by Po-Zu! 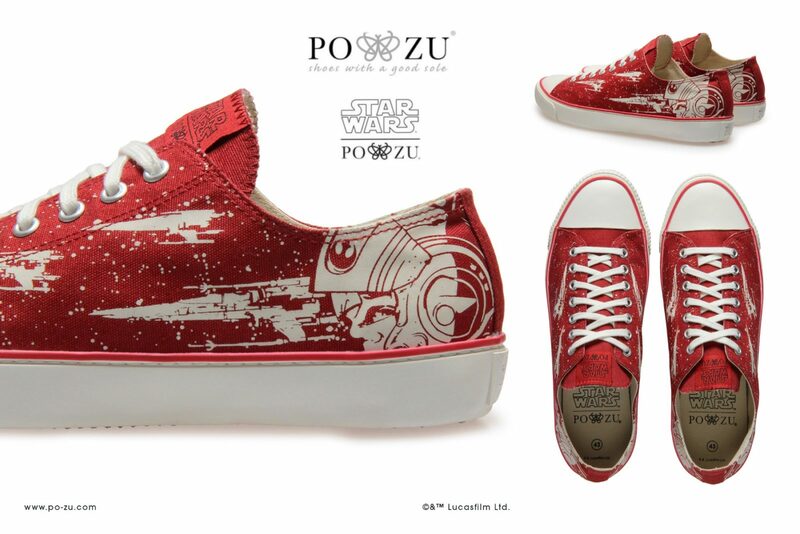 The latest addition to the Po-Zu x Star Wars collection features artwork of a Resistance X-Wing pilot and X-Wing fighters flying across a starry sky background, all in a vibrant red! 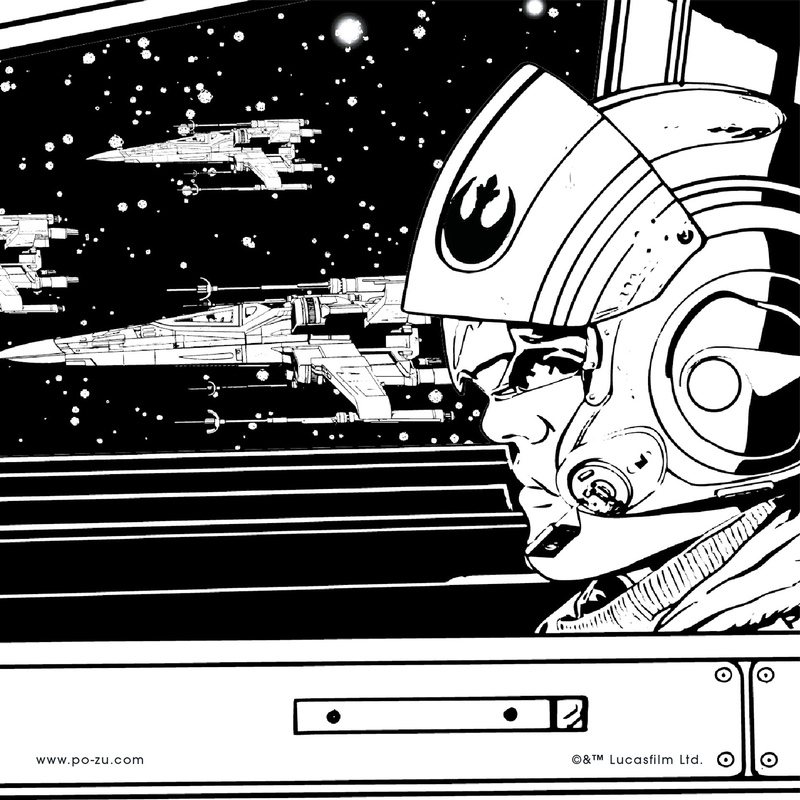 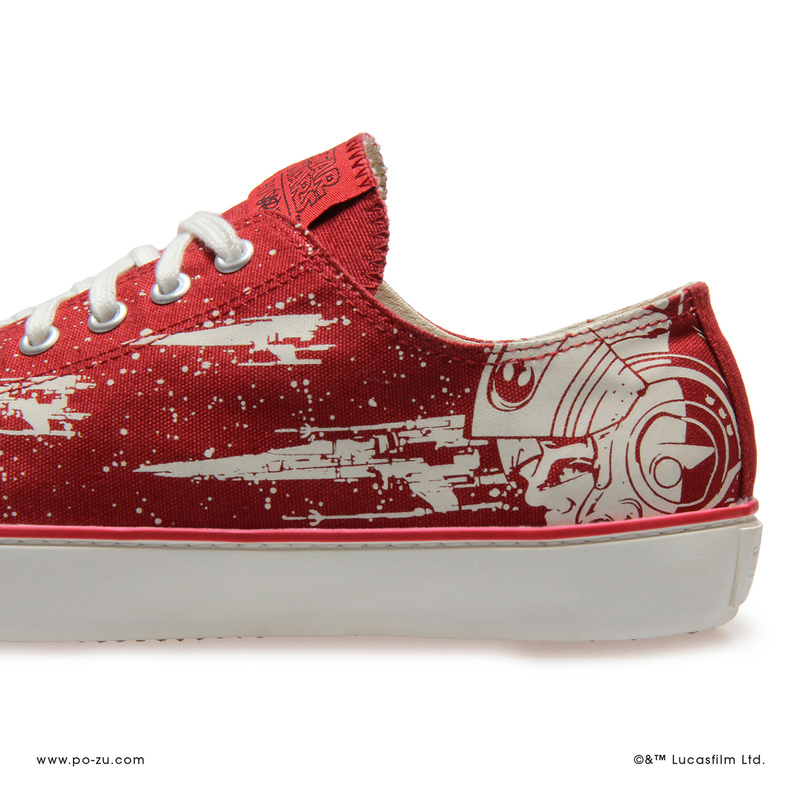 Our latest Star Wars shoe shows vivid schematic detail of X-Wing fighters in action next to a striking helmet design. 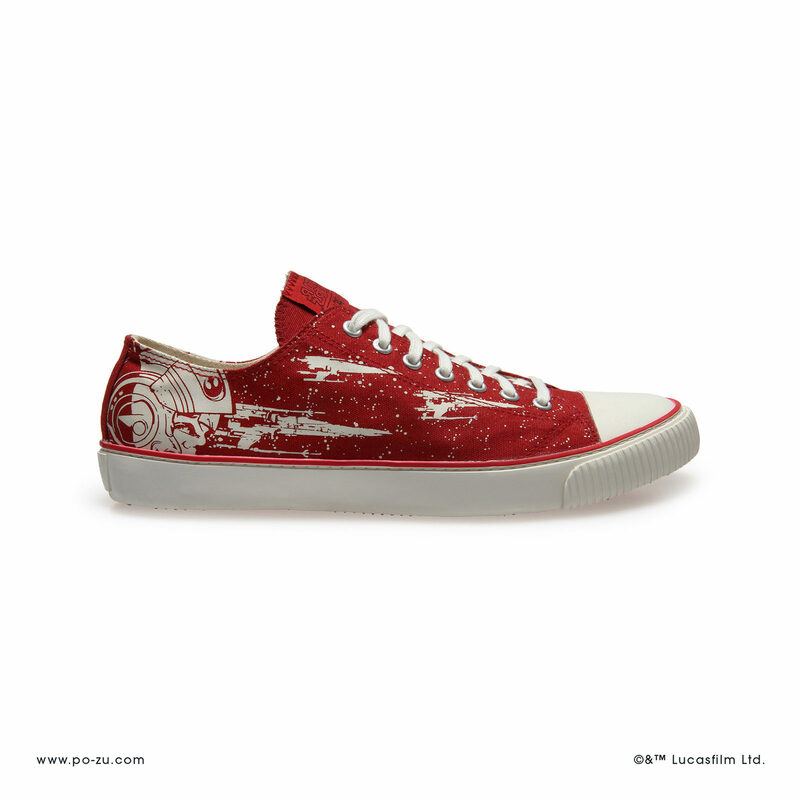 Screen printed onto organic cotton canvas with a red embroidered label, red foxing detail and soles stitched for durability; this new model is unisex, vegan and ethical. 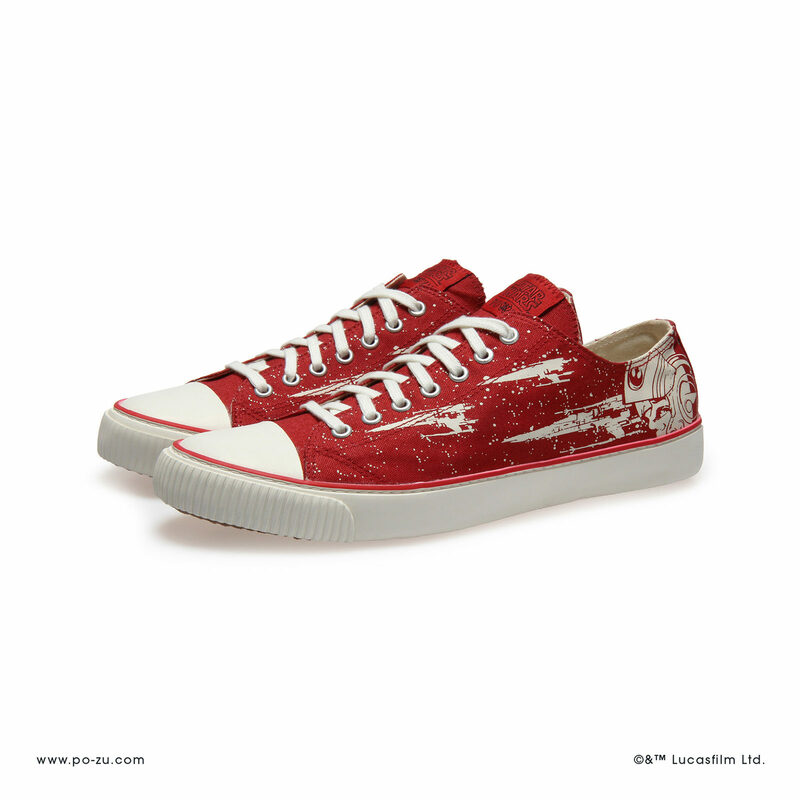 Available in Euro women’s sizes 36 to 41, the sneakers are priced at £59.00 per pair (approximately US$77.88 per pair) – Po-Zu can ship internationally! 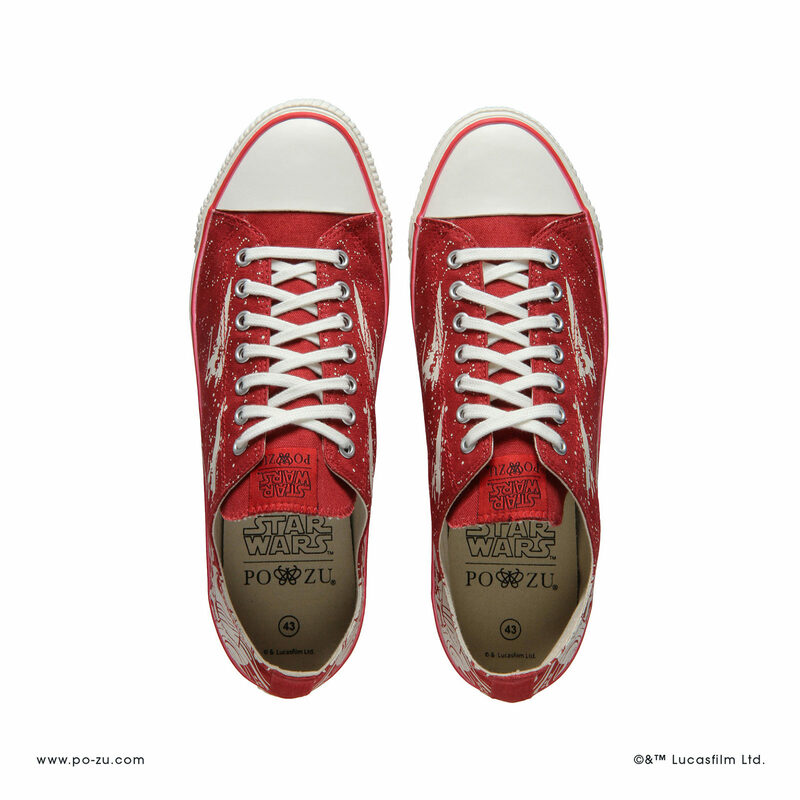 Photos supplied by and belong to Po-Zu Footwear.